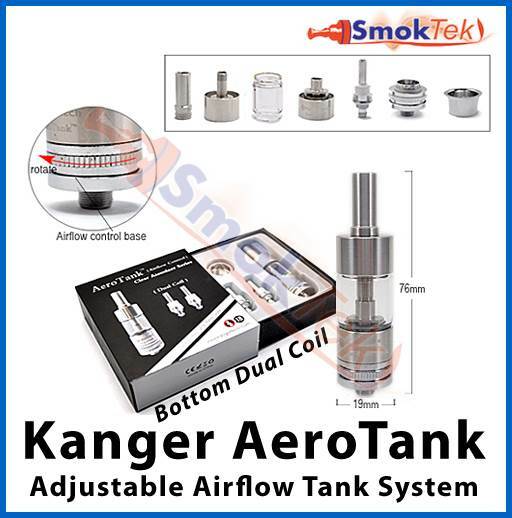 The Kanger AeroTank is a glass tank bottom dual coil clearomizer with airflow control! Use any juice without damaging the tank. Great new design with removable tip, easy to fill and simple to replace the coil. 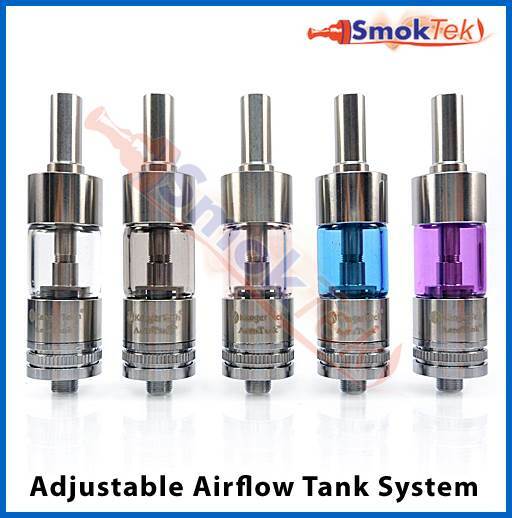 The AeroTank offers great features and improved performance. 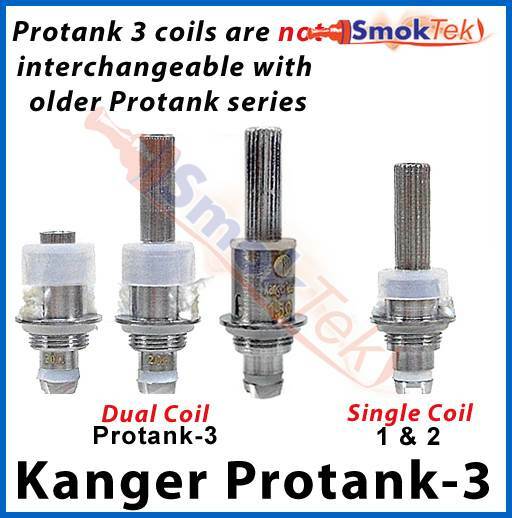 The coils are compatible with ProTank-3. The AeroTank is 510 threaded and will work on all 510 threaded devices and Mod's without the need for an adapter. It also comes with a matching eGo Cone cover for use with eGo batteries. Pick up spare Upgraded Dual Coils for your AeroTank here! 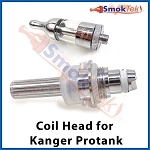 Protank-3 coil heads are compatible with the AeroTank. Please note: Due to the nature of cartomizers, we cannot offer warranty, exchange or returns except if DOA. I am very happy with this purchase. The tank does not leak and overall it has improved my vaping experience. I do know some folks have complained of the airflow ring being too loose. So far I have not had this problem. air flow control, not drawn through 510 connector. taste is not heavily muted. does not leak period, does not flood, there are .8 ohm and 1 ohm coils available for it, which help flavor alot. Excellent quality product works well. BUT IT'S NOT RED... Not even close. It's almost dusty pink when viewed in a bright light. Can barely discern the color. I've tried a couple tanks now . aero tank is by far the best . no leaks so far and the air flow control makes a great hit . Q: Which type of airflow control does this tank have? Is it the one pictured or the updated version? The airflow control on the AeroTank is as pictured. Q: Will this tank work with a ego battery? Would I need an adapter? 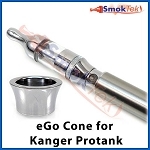 The Kanger AeroTank will work great with eGo batteries! You will not need an adapter, and the AeroTank comes with a beauty ring, which will provide support for the AeroTank, and it will cover the eGo threads on the battery, resulting in a more aesthetically pleasing setup. Q: Can I still use the 1.5 oml or would I have to use the suggested 2.0? 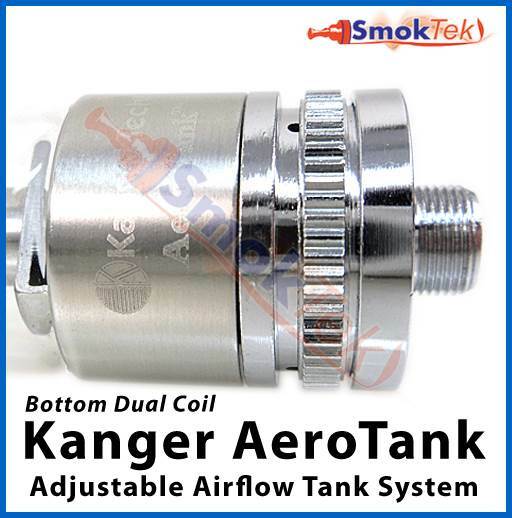 You can still use 1.5 ohm coils with the Kanger AeroTank.